Archie is forever barred from Lodge Manor! 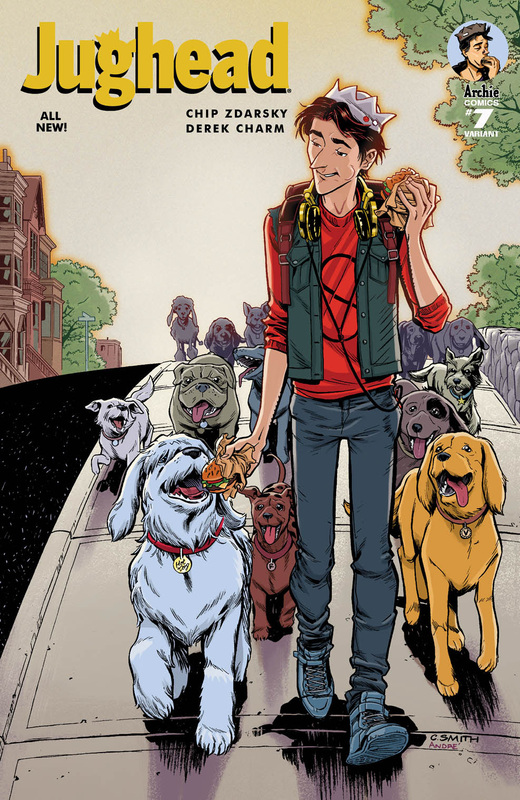 Now Veronica has to live in Archie's world if she wants to see him—and she's turning the whole Andrews family upside-down!​Jughead convinces Archie to join him at a cottage, away from all the madness of Riverdale, but the madness of Riverdale cannot be escaped. 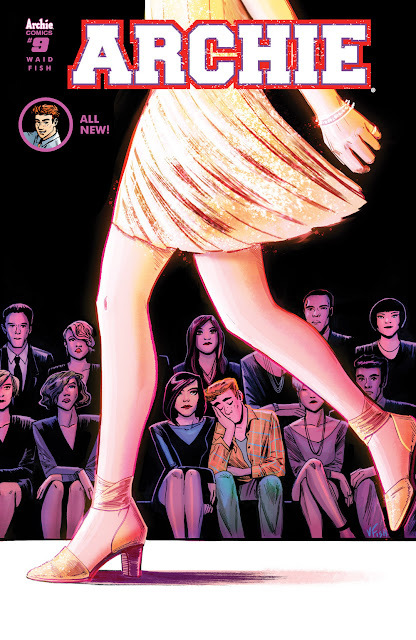 The madness of Riverdale is everywhere.April's solicitations previews all the hijinks you expect from the Archie gang as well as all the great reads throughout the Archie Comics line. Archie is forever barred from Lodge Manor! Now Veronica has to live in Archie's world if she wants to see him—and she's turning the whole Andrews family upside-down! SUMMERTIME IS HERE! 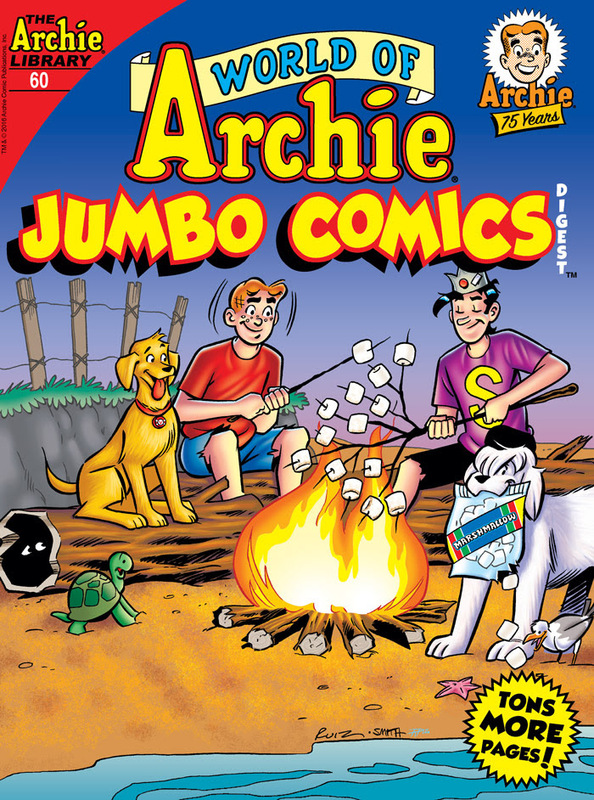 Jughead convinces Archie to join him at a cottage, away from all the madness of Riverdale, but the madness of Riverdale cannot be escaped. The madness of Riverdale is everywhere. 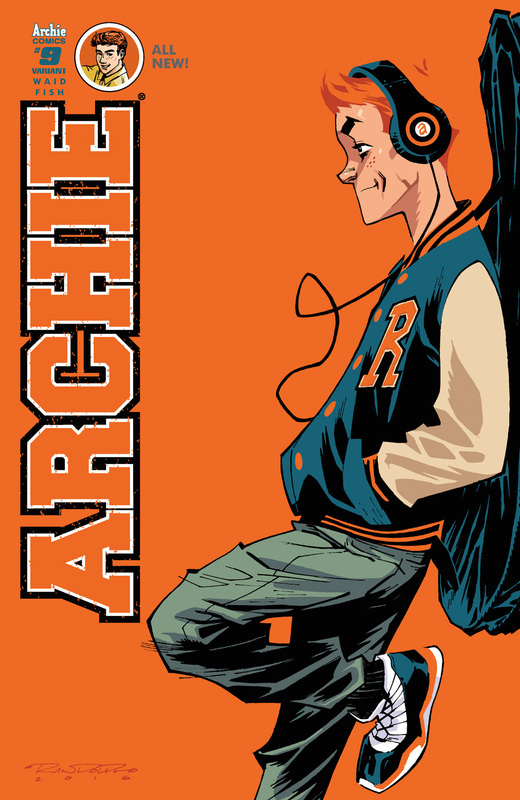 In the grand tradition of comic book reboots like ARCHIE VOL. 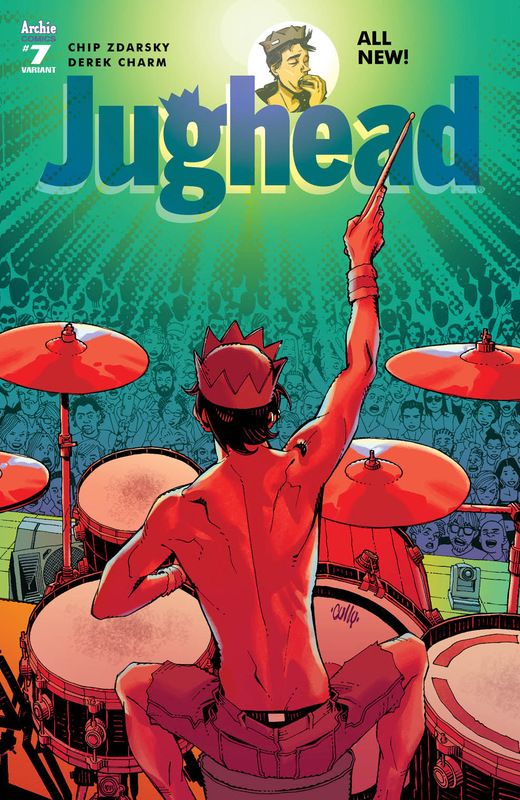 1, Archie Comics proudly presents... JUGHEAD VOL. 1—from the comics dream team of Chip Zdarsky (HOWARD THE DUCK) and Erica Henderson (THE UNBEATABLE SQUIRREL GIRL)! 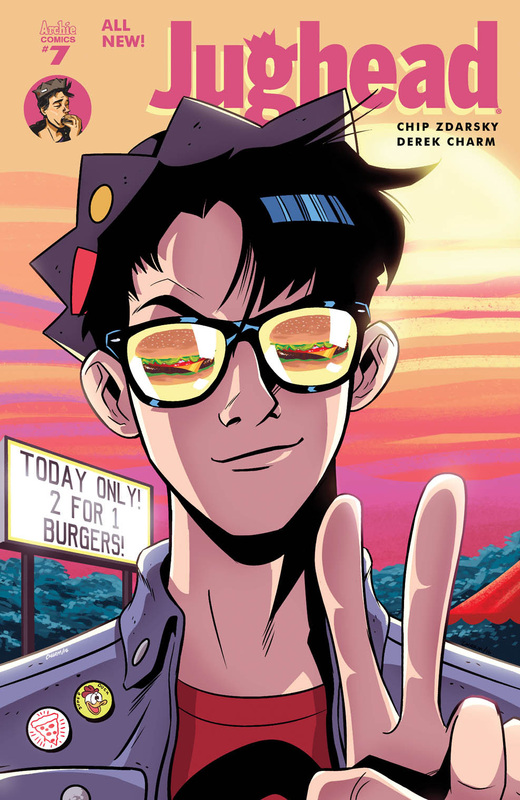 Riverdale High provides a quality education and quality hot lunches, but when one of those is tampered with, JUGHEAD JONES swears vengeance! Well, I mean, he doesn't "swear." 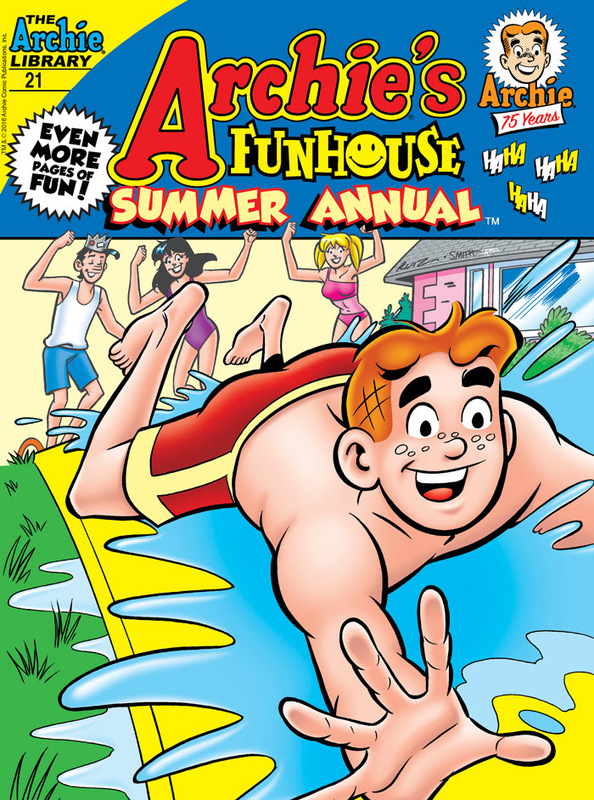 This is still Archie Comics after all. 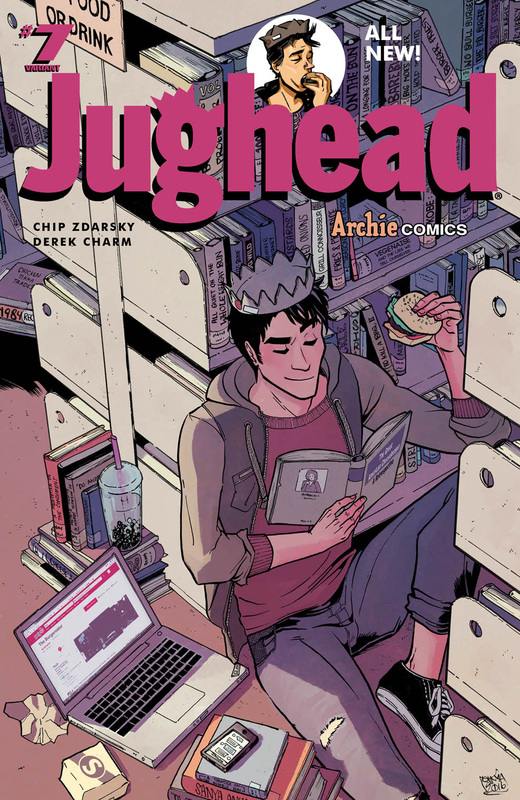 JUGHEAD VOL. 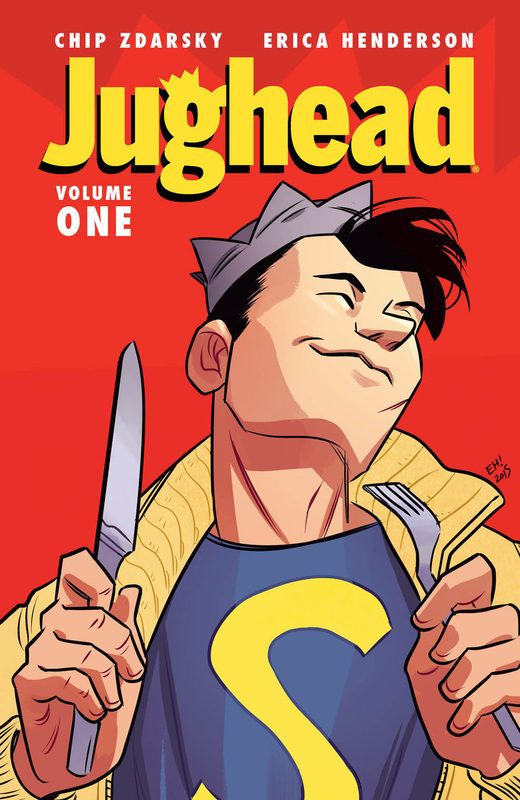 1 collects JUGHEAD issues #1-6. When Archie overhears that Betty & Veronica have been invited to model in a photo shoot with an esteemed photographer, he sets his sights on crashing their good time. 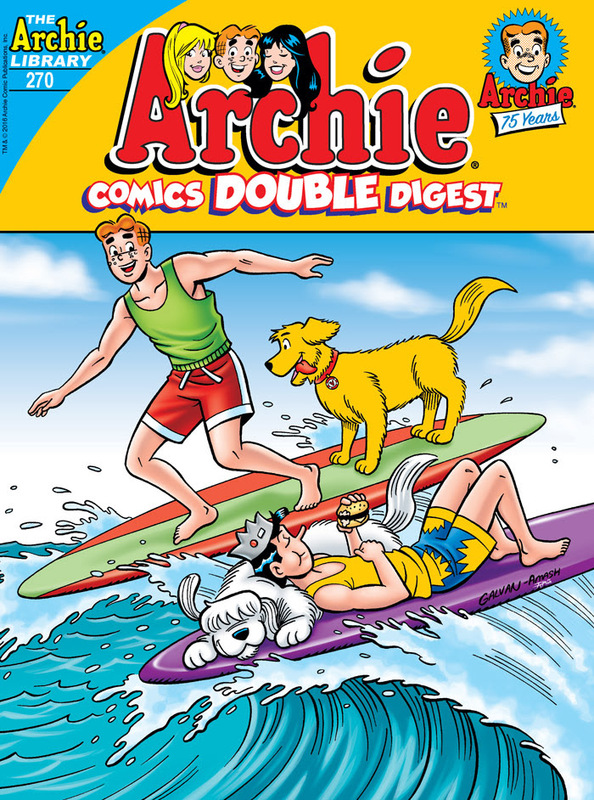 Archie wants to meet supermodels and he’s bound to do anything to get himself there! 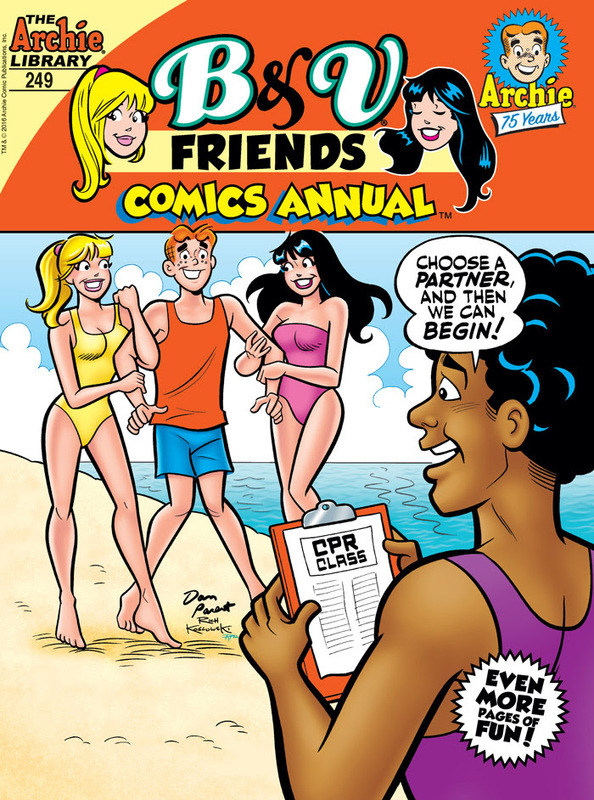 Will Archie achieve his dream of meeting models on a closed set at the beach? Or will more than just Betty & Veronica end upsnapping at him? Find out in “Photo Folly,” the fun, new lead story to this comics double digest! Spotty, Little Archie's dog, becomes unexplainably sick and stays that way until he hears Little Archie reminiscing about him with Little Betty—especially when he hears Betty suggest that Archie might need a cat like her Caramel for company! This story begs to answer the question: Do our pets really understand what we say? Find out in “Tale of the Dog!” the fun, new lead story to this summer annual featuring even more pages of fun! On a fateful trip to the beach, Betty and Veronica accidentally release a genie from her bottle, and she’s willing to grant them three wishes. Will they get everything they want? Or will they wish they had never met her in the first place? Find out in “Sand-Wishes,” the fun, new lead story to this summer annual—featuring even more pages of fun in the sun! Cheryl steals the spotlight again when she gets a new pet monkey named Oscar. 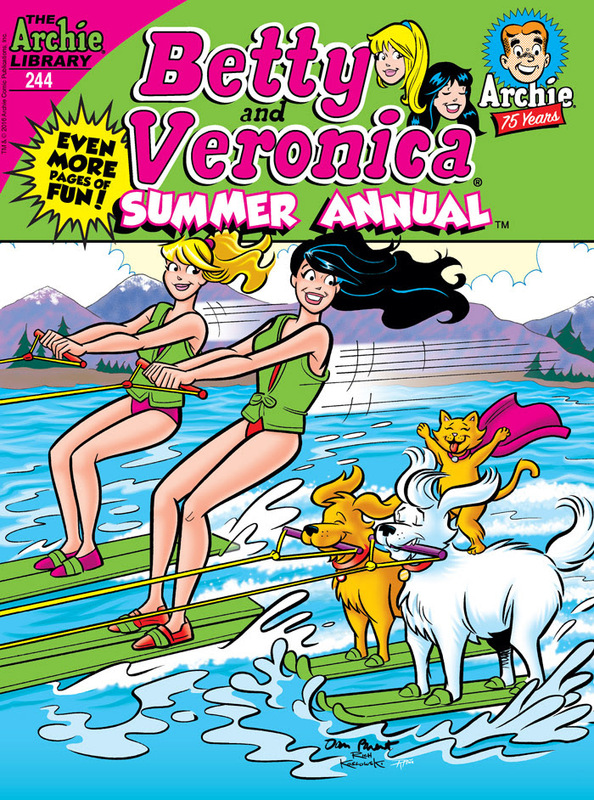 With all of the guys paying attention to her and her monkey pal, how can Betty & Veronica compete? Find out if a monkey makes for a good exotic pet or just a whole lot of trouble in “The Monkey’s Flaw,” this hilarious new lead story to this comics annual featuring even more pages of fun! 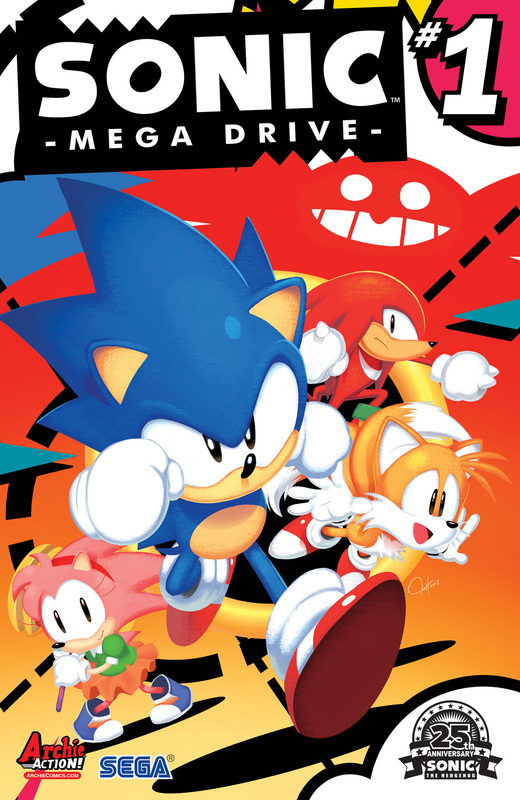 Sonic spins into a brand new, Classic-styled, SUPER SPECIAL one-shot “Mega Drive”! Join Sonic, Tails, Knuckles and Amy Rose on a brand new adventure—set after the fall of the Death Egg! The nefarious Dr. Eggman is trying to build a new engine of destruction: the MEGADRIVE, and it’s up to Sonic and his whole crew to stop the mad doctor and save the day! Join Sonic and his friends in this special commemorative issue celebrating the 25th Anniversary of the Blue Blur! 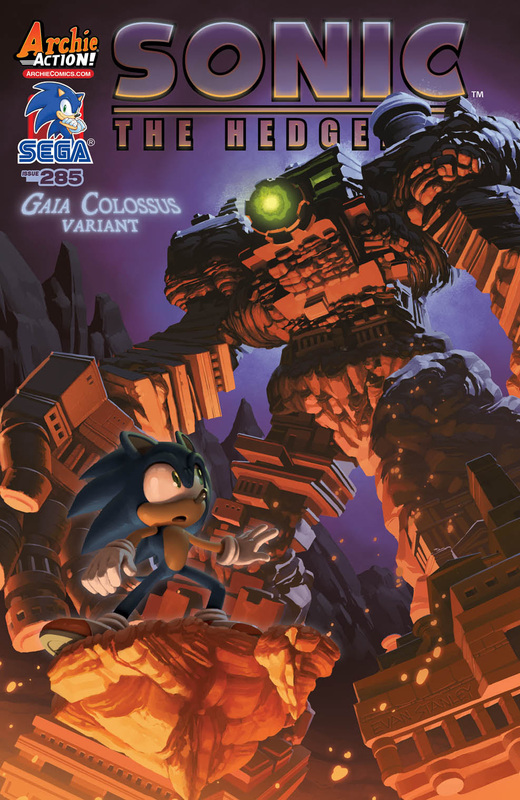 The sequel to the record-shattering Sonic the Hedgehog and Mega Man crossover is here! You saw what happened when "Worlds Collide," now brace yourself for when WORLDS UNITE! Dark forces have come together in the far future! The vicious conqueror, Sigma, has cheated death again and escaped the justice of X and the Maverick Hunters. He's crossed space and time to join forces with Zavok and the malicious Deadly Six of Lost Hex! Sonic and Mega Man could save us-but they've gone missing! 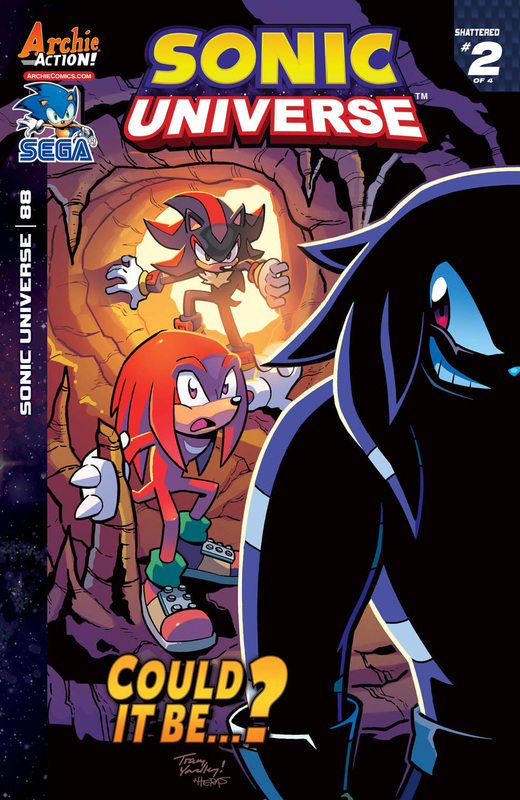 Now the Freedom Fighters of Sonic's world and the Robot Masters of Mega Man's world must take up the fight to save their heroes and stop the coming tide of darkness! WORLDS UNITE features guest appearances by the cast of SONIC BOOM, MEGA MAN X and some of CAPCOM and SEGA's biggest stars! 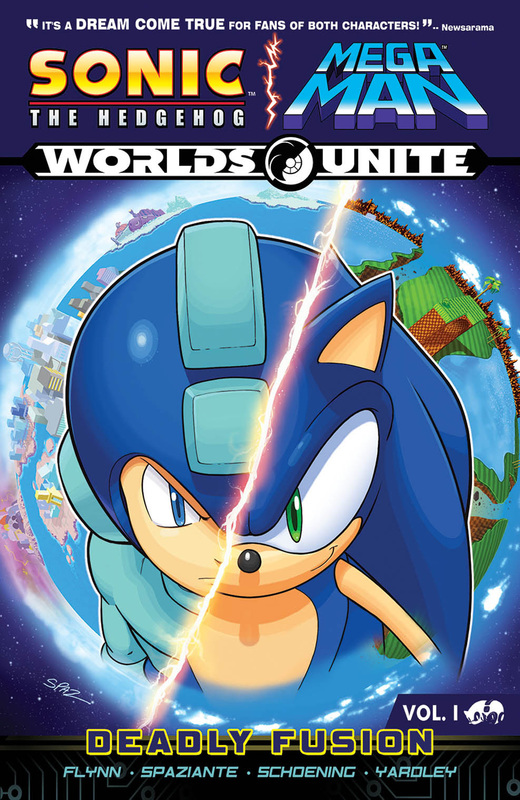 This volume collects WORLDS UNITE parts 1-4 from Sonic Universe #76, Sonic Boom #8, Sonic the Hedgehog #273, Mega Man #50 and selections from Mega Man: Worlds Unite Battles #1 and Sonic: Worlds Unite Battles #1. 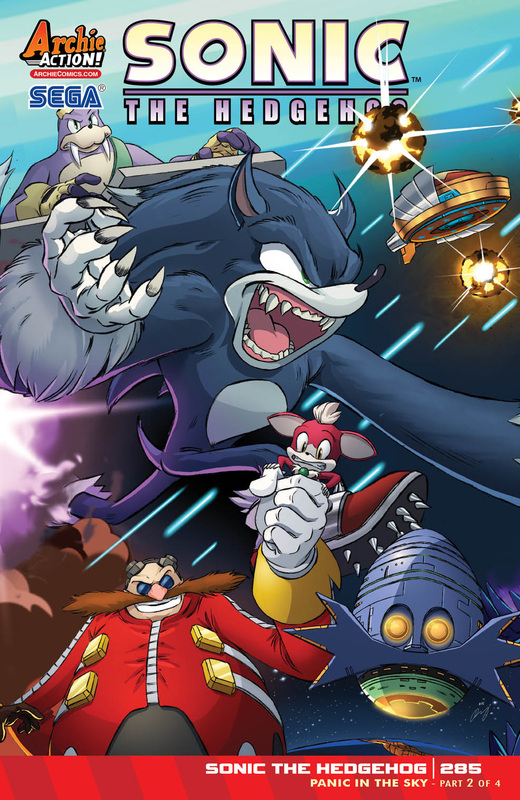 The suspense builds for Sonic in "Panic in the Sky" Part Two: Sonic and the Freedom Fighters have faced a crushing defeat at the hands of Dr. Eggman and his entire evil Eggman Empire! Now it becomes a race against time to get back in the fight and save the day! But when Dr. Eggman uses Chip and the power of the Chaos Emeralds, are our heroes already too late? Featuring the second of four connecting covers by comics pro Dan Schoening plus a “Gaia Colossus” variant by the excellent Evan Stanley! Tougher than leather, it’s Knuckles in "Shattered" Part Two: The mysteries deepen and the suspense builds! Amy and Rouge fight for their lives! Omega is out of commission! And Knuckles is lead deep into the heart of the Hidden Palace Zone by the new Echidna, Nixus! But is this strange newcomer everything he seems to be? 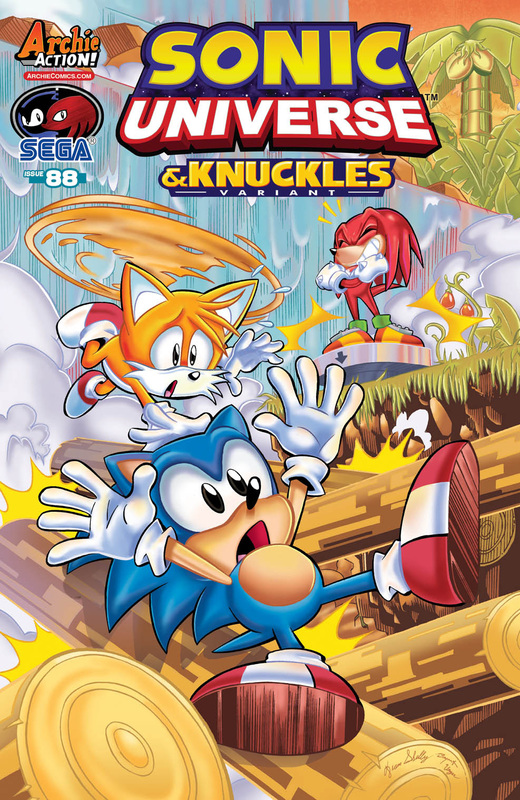 Featuring cover art by Sonic comics legend Tracy Yardley and an “& Knuckles” variant by the delightful Diana Skelly! 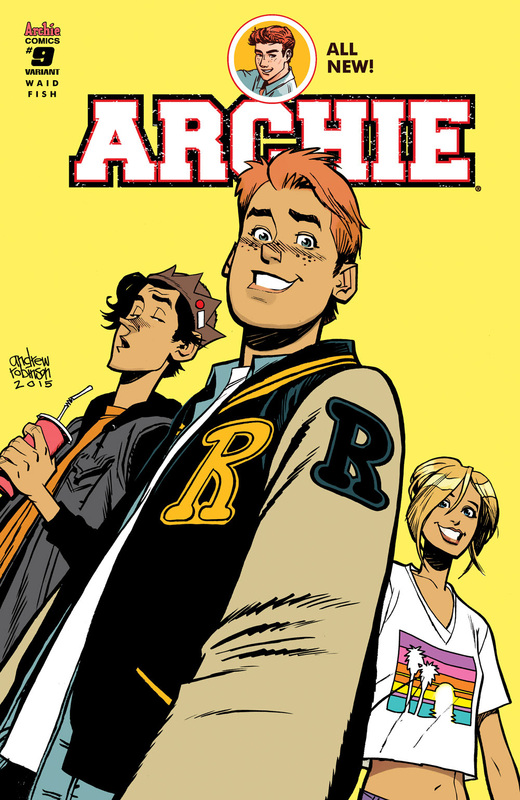 Take a trip to the Middle Ages with Archie! A snooze on the beach turns into an adventure in history. As it turns out, being a teenager wasn’t that much different centuries ago! Well… minus the fact that a sports competition featured horses… and swords… and was definitely a lot more dangerous! Get ready to get Medieval with Archie and the gang in “A Knight to Remember,” the entertaining lead story to this JUMBO-sized comics digest!